Produktinformationen "Demuth, The Modernized Reti"
The Reti opening has been quite popular in the most recent years. In the "Modernized Reti", Adrien explains how this subtle opening needs to be handled. With many transpositions into different types of positions, it is one of the richest choices White has when starting the game. 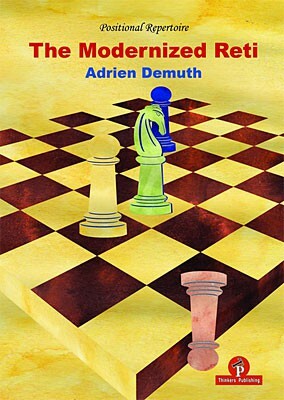 If you are looking for a refined, positional and dynamic way to play as White, Adrien will show you the way in his first book for Thinkers Publishing! Adrien Demuth , currently rated 2543, is a grandmaster belonging to the youngest French chess generation. He was born and raised in La Reunion. Weiterführende Links zu "Demuth, The Modernized Reti"
Kundenbewertungen für "Demuth, The Modernized Reti"